Have you ever wanted to try a video service before committing yourself? Until now, such sampling has been difficult. Some providers allow 30 day trials, but only with credit card numbers, and they will bill you automatically if you forget to opt out. Sling TV has decided to make such sampling much easier- at least for select viewers with Roku devices. If you are one of the chosen, then for a limited time the streaming platform will allow you to view one episode of any show without charge or commitment, without limit on the number of shows. One episode of any show is the limit, though. Sling TV will charge you for watching additional episodes. The free content will include premium packages such as Showtime and Starz. For access to the sample content, just open the Sling TV app on your Roku device. Then hit the ‘browse as guest’ tab to activate the Sling TV interface. If you want to see other premium movies or sport events, but don’t want to commit yourself yet, Sling TV will help you with this, too. As a guest, you can buy individual movies or events without a subscription. Possibly the most interesting result of the Sling TV/Roku partnership is one that consumers have sought for decades: buying individual channels a la carte. 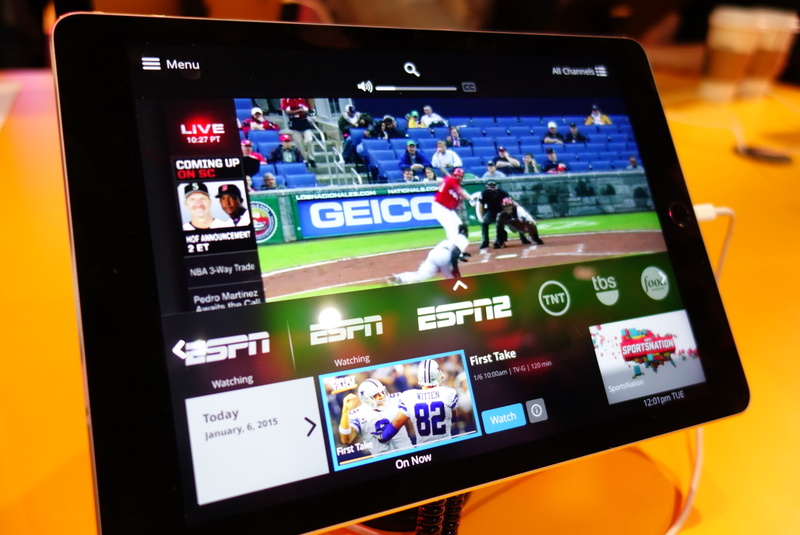 Sling TV says it is the only live video streaming service offering this option. The a la carte purchases, like access to video on demand content, will not require subscription to the core channel package. Sling TV also announced in January that its interface will now include personal recommendations. Based on the shows you’ve already watched, the recommendations will appear on your on-screen guide. And before you finish typing your inquiry, the interface will list the most popular current searches. The new interface will also borrow a Netflix innovation to encourage binge watching. If you’re watching an episode in a series, the Sling TV app will prompt you to watch the next one. If you don’t respond, the next episode will begin playing in ten seconds. We don’t know yet if you’ll have the option of disabling this feature. Given the array of new services and features available, this may be the perfect time for sampling Sling TV content on Roku. For the best deals in TV, internet, or other home services, shop with Bundle Deals. Compare all providers and plans, then order any service with just one phone call. « Minds.com: The Fall of the House of Facebook?